INDUSTRY.co.id - Jakarta - Good news for those of you who are looking for gadget products or want to know the developments around the latest gadgets and the present, why the information and communication technology exhibition or Indocomtech 2018 will be held from 31 October to 4 November 2018 at the JCC Senayan. Furthermore, Bambang Indocomtech 2018 also enlivened the Communication Information Technology (ICT) industry which is increasingly developing by presenting hundreds of brands from various ICT products. Approximately 250 technology companies that are divided into 9 different categories, namely accessories, audio, cameras, gaming, laptops & PCs, smart homes, smartphones, and wearable devices will come and bring different nuances in Indocomtech 2018. At Indocomtech a year ago, VR and drone technology had become a spotlight, but now Indocomtech 2018 will present a more diverse technology variant for all circles. Big brands like HP, ASUS, Samsung, Apple, Xiaomi, MSI, and Predator are sure to perform at Indocomtech 2018 by bringing a series of PC laptops for gaming products, PCs / laptops for business, action cameras, printers, gadgets, smartphones, Virtual Reality , Augmented Reality, and wearable devices from famous brands. Indocomtech 2018 also presents an overview of the concepts of Artificial Intelligence technology, Internet of Things (IoT), Financial Technology, Smart Health, as well as a number of innovative applications and internet technology-based solutions. "Cooperation between industry players is certainly one of the important points to be presented at Indocomtech 2018. 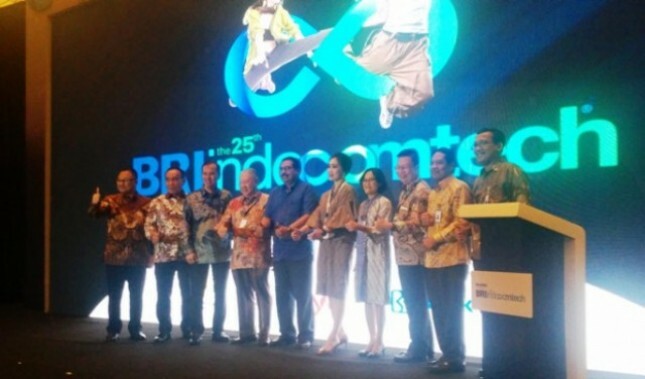 Meeting between industry players, encouraging collaboration on the latest ICT products while providing direct understanding through workshops on technology in them," Bambang added. Indocomtech 2018 will occupy an area of ​​17,000 square meters and will be attended by more than 250 exhibitors from the field of telecommunications, computers, software, games, smartphones, electronic products, and accessories in Indonesia. This five-day exhibition sets an entrance ticket price of Rp20,000 per person for Wednesday - Thursday, while on Friday, Saturday and Sunday, visitors can buy an entrance ticket for Rp 30,000 per person.